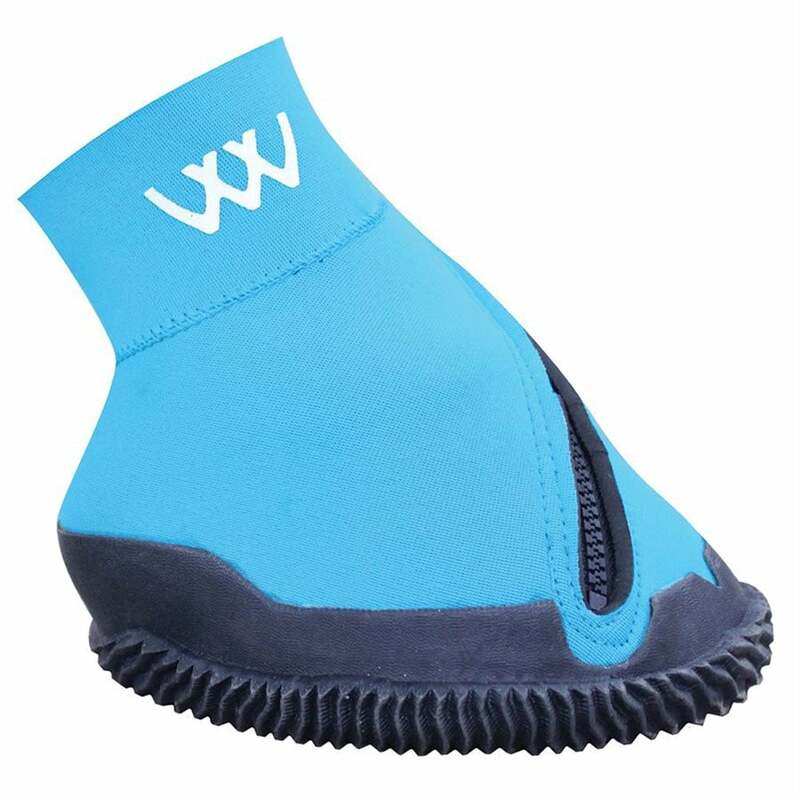 The Woof Wear Medical Hoof Boot is a unique close-fitting boot that is designed to keep wounds, poultices and dressings clean, and to assist in the treatment of a number of ailments to the foot such as abscesses, punctured soles or bruised soles. The asymmetric zip gives this boot a really close fit to limit bedding and other debris from getting inside. This Medical Hoof Boot can be used with or without a shoe and features a grooved sole for extra grip and a Kevlar interior for durability. This light and flexible boot is suitable for use in the stable or can be used on sensible horses in the paddock if ground conditions are reasonably dry. It is recommended that if your horse is turned out with this hoof boot on that a generously sized overreach boot is also used to prevent the boot being trodden on. Woof Wear expect this boot to last 2-3 weeks under normal circumstances and offer it as a cost-effective alternative to adhesive bandages and tape. The boot is not indestructible and so is not guaranteed against breakage due to the horse standing on the boot. It is not suitable as an alternative to an overreach boot to prevent shoe loss, nor protect against overreaching. If your horse is inclined to overreach, or stands on its own hooves, then an overreach boot should be used over the Medical Hoof Boot to protect both the horse and the boot from damage.